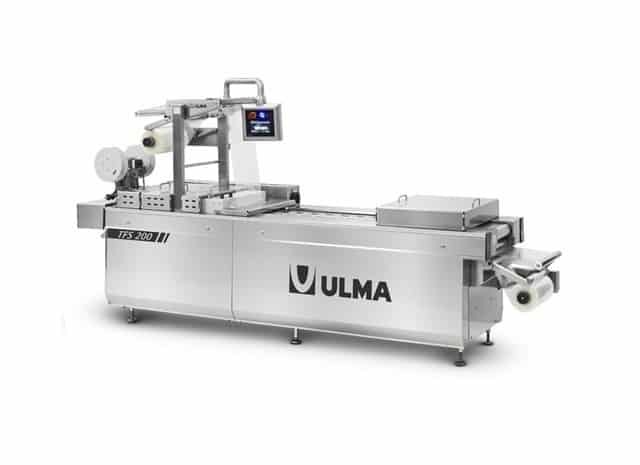 The TFS 200 is a thermoforming machine designed to pack food non-food or medical products. The package is created directly by the machine using two rolls of film. The film may be flexible or rigid. Vacuum with gas flushing is available as an option. The machine characteristics make it highly desirable for mixed production requirements,Since formats can be easily changed to meet the needs of the customer. It’s versatility, easy operation, and quick size change also makes it suitable as a support machine for short run products. Parameters and error messages are displayed. Upper and lower printed film centering. Vacuum and gas flush systems. Integrable vacuum pump 25, 63, or 100 m3/h. Special adaptations for clean rooms. Special components for very corrosiveproducts. Re-closeable zipper attachment, easy open options, zig-zag knife for easy open package.